The German Research Foundation (Deutsche Forschungsgemeinschaft, DFG) has announced that it will fund the Collaborative Research Centre (Sonderforschungsbereich, SFB) 676 “Particles, strings and the early universe – structure of matter and space-time” for another four years. After eight years of funding the SFB, the new funding period starts the third round of support by the DFG. The departments of physics and mathematics of the University of Hamburg and DESY are strongly involved in the SFB, which will receive from 1 July 2014 to 30 June 2018 about two million euros per year. University and faculty will provide additional 925 000 euros for the entire term. The Collaborative Research Centre includes a total of 19 scientific sub-projects as well as a graduate programme. 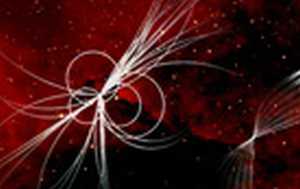 Thematically the research projects are located at the interface between particle physics, string theory and cosmology. Through the experiments at the Large Hadron Collider LHC at CERN in Geneva as well as by cosmological observations, the researchers of the Collaborative Research Center expect far-reaching new insights into the building blocks of matter and the history of the early universe. The evaluators of the DFG praise Hamburg as a “unique place” and confirm in their overall recommendation that the Collaborative Research Centre 676 offers compelling young talents support and “outstanding expertise in the fields of particle physics, astrophysics and cosmology, which equally distributed between the University of Hamburg with the observatory and the Helmholtz research centre DESY“.